Purchase your copy now at Amazon! What makes Salem Oncology Center different? Medical care should be delivered with knowledge and love; either one alone is inadequate. We are committed to giving the time needed to enhance the understanding of disease treatment and prognosis. 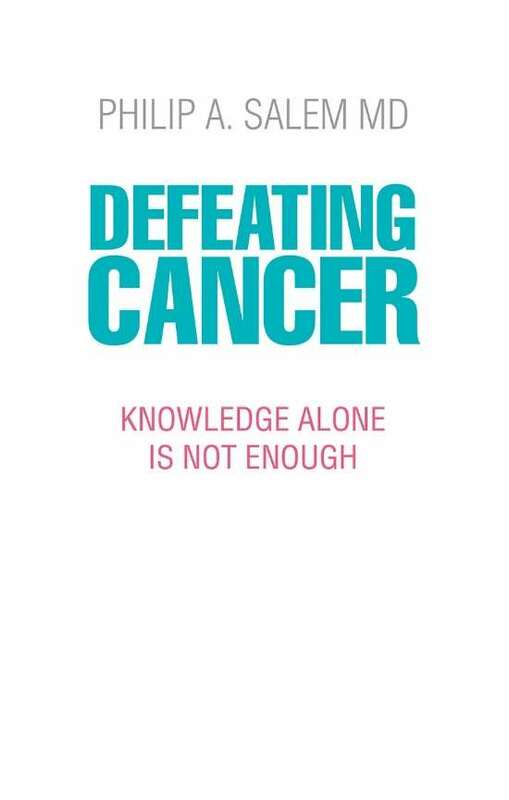 We are committed to fighting and conquering cancer with knowledge, perseverance and hope. Additional group consultations help ensure that the patient is receiving the most cutting-edge cancer therapy. Excellence is achieved by making sure that every patient receives the very best possible treatment. We collaborate with national and international medical experts who are considered the best in their fields. Dr. Salem is the recipient of many awards from all over the world for his contributions to cancer research. He is an active member of the top three cancer organizations in the world: American Society of Clinical Oncology (ASCO), American Association for Cancer Research (AACR) and European Society of Medical Oncology (ESMO). In the last 15 years he was selected annually in the editions of America’s Top Doctors by Castle Connolly.